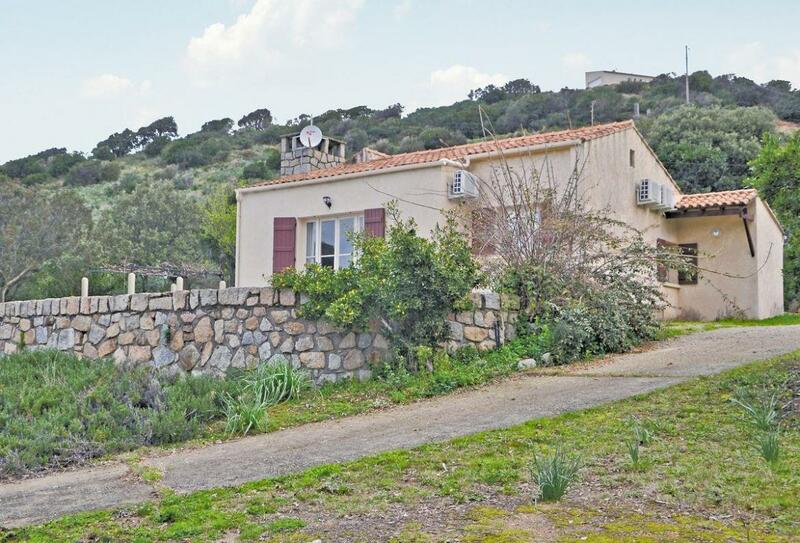 Inviting 2 bedroom holiday home near Ajaccio, Corsica. A wonderful holiday home for the whole family You’ll find yourself only a few minutes from the blissful Southern French beaches. Sleeps 6. Air conditioning. This lovely, detached holiday home with air conditioning is well placed on 5000m² of a well maintained and enclosed garden with trees and flowers. It has a large terrace including a barbecue while providing a fantastic panoramic sea view. Guests will be 100m from the beaches of southern Corsica, in the Bay of Sagone, which leads to Cinarca Valley. Picturesque village of Calcataggio, overlooking the sea, is worth a visit. The interiors are comfortable and modern, while the property is set in a quiet area, ideal for complete relaxation. This pleasant, wild area overlooking the Gulf generously mixes countryside and mountains, linked by narrow roads through villages. Shop 15km, restaurant 3km. Beach 100m. Lounge/diner, kitchen, shower room with basin (no toilet), separate toilet, 2 double bedrooms, double sofa bed in lounge. Electric heating, open fire in lounge, cot, colour TV (French channels only), video, washing machine, dishwasher, microwave, lawned garden, terrace, garden furniture, barbecue, off road parking for 3 cars. One pet welcome. NB: Slopes in grounds. Steps to entrance.